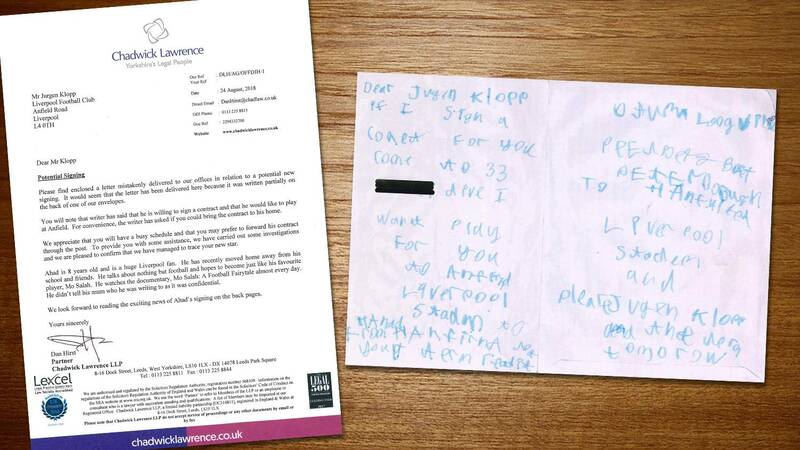 The team at Chadwick Lawrence received a rather unusual request at their Leeds office from a young Liverpool Fan looking to get in touch with Liverpool manager Jurgen Klopp. Eight-year-old Ahad Khurshid sent manager Klopp a letter offering to play for the Premier League club, asking for a contract with the team. 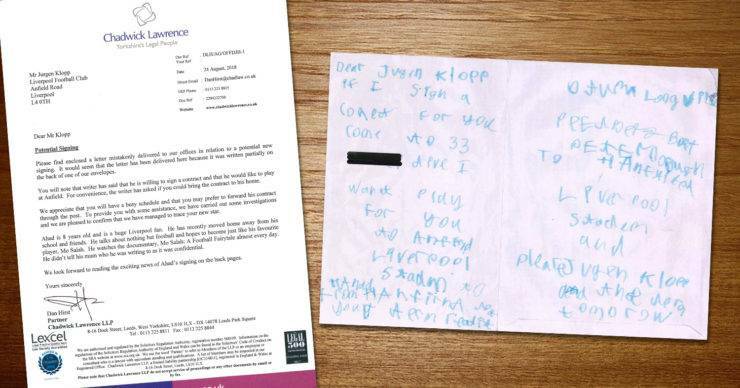 Instead of finding its way to Anfield the letter ended up in the hands of the team Chadwick Lawrence team based at the Dock Street offices after the young fan accidentally used an old envelope that had the company’s address on it. Ahad’s parent’s recent house purchase during their move from Surrey to Peterborough had been handled by the firm.  Dan Hirst, Partner and commercial litigation solicitor, took it upon himself to take up Ahad’s case and deliver the letter to its rightful recipient. Dan sent the letter on to Anfield, adding his own contribution to Ahad’s message. “Dear Mr Klopp Please find enclosed a letter mistakenly delivered to our offices in relation to a potential new signing. “It would seem that the letter has been delivered here because it was written partially on the back of one of our envelopes. “You will note that the writer has said that he is willing to sign a contract and that he would like to play at Anfield. For convenience, the writer has asked if you could bring the contract to his home. “We appreciate that you will have a busy schedule and that you may prefer to forward his contract through the post. “To provide you with some assistance, we have carried out some investigations and we are pleased to confirm that we have managed to trace your new star. The kind gesture delighted Ahad’s parents, with his mother Nabeela responding to Dan to thank him. “Ahad has had a rather tough time recently – when we moved he had to leave his school friends and his home behind. The move has been extremely challenging for him. He is such a big fan of Liverpool FC and Mo Salah. Dan himself added, “We were impressed by the initiative, ambition and determination shown when we first read Ahad’s letter. Judging by the reaction on social media – it has had that effect on a lot of people.